MbD would like to announce that it is the proud owner of a little green alien. 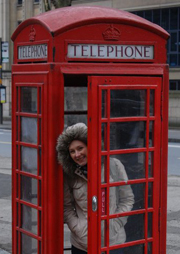 A very green, very English alien, named Isla Waite. Isla has been an intern for the last few months and has been working on improving her production skills under our wing. Isla met Della while she was still in school, and took an instant fancy to MbD. Through (self-described) pestering and bribes she managed to secure an internship straight out of school, and since we would miss her out-of-tune covers of Pandora, we decided to keep her on for a little longer. Isla has been working on projects for CSPC, and the Sacramento Tree Foundation. 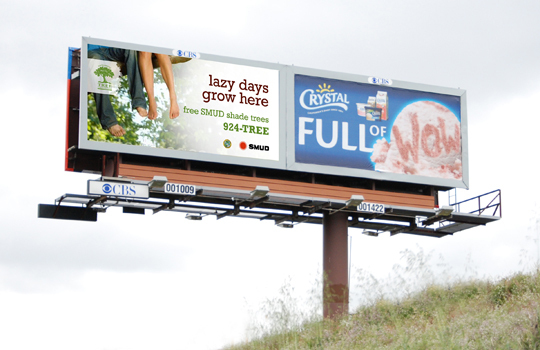 (Check out the STF “lazy days grow here” billboard below, which will grace the city skyline in July). Isla arrived armed with a BA Dual Major in International Relations and Media Studies, and an Associates degree in Graphic Design. Her previous life involved ordering pilots around in the skies of Europe as an Air Traffic Control Officer in the British military. A two year stint as the Operations Manager of a retail store was all she needed to convince herself to follow a brand new path, with a life-long passion…in design. We’re really happy to have her around and it’s so much fun watching our green alien grow!